The Northampton based UK arm of the campaign to keep the internationally important limestone statue of the Egyptian Scribe Sekhemka, the Save Sekhemka Action Group, has bowed out of the fight to retain the statue in the pubic domain with a defiant press release which takes aim at the Arts Council, the Museums Association and the department for Culture, Media and Sport accusing them of being “toothless” and “window dressing” cuts to local authority museum funding. Indeed, the group alleges the Public Auditor gave the Sekhemka deal a clean bill of health after a simple telephone conversation. However, defenders of these two bodies would point out that they can only work with the limited legal tools provided- for example, local authorities can count museum collections as financial assets and there is no statutory requirement for authorities to provide local museums or observe the Museums Association code of ethics, while ACE is required to act impartially over export matters and retain commercial confidentiality. The statue of Sekhemka when last seen in public at Christie’s in July 2014. While the Save Sekhemka Action Group has failed, for now, in its attempts to return the statue of Sekhemka to public display and expose the details of the sale by Northampton Council its dilligant, persistant and often brave campaign has managed to turn the sale of the statue into an international cause celebre for museum campaigners and humiliated Northampton Borough Council and its former Leader, David Mackintosh MP, turning them into a byword for unethical, unaccountable and short sighted museum policies, with Mr Mackintosh himself being named “Philistine of the Year” by Private Eye magazine in 2014. In spite of the Northampton group standing down from direct campaigning the story of the Sekhemka campaign may still not be over. thePipeLine understands that the Egyptian Government is currently considering whether legal action in the matter is possible, while researchers continue to try to expose the financial and contractual details which lie behind the sale of the statue in 2014 and whether the sale may shed light on the way Mr Mackintosh ran Northampton Council. In particular the issue of why Northampton Borough Council repeatedly claimed to the public and Christies that it owned the statue, only to give the Marquis of Northampton half of the proceeds of the sale after it had paid the costs, remains open to question. 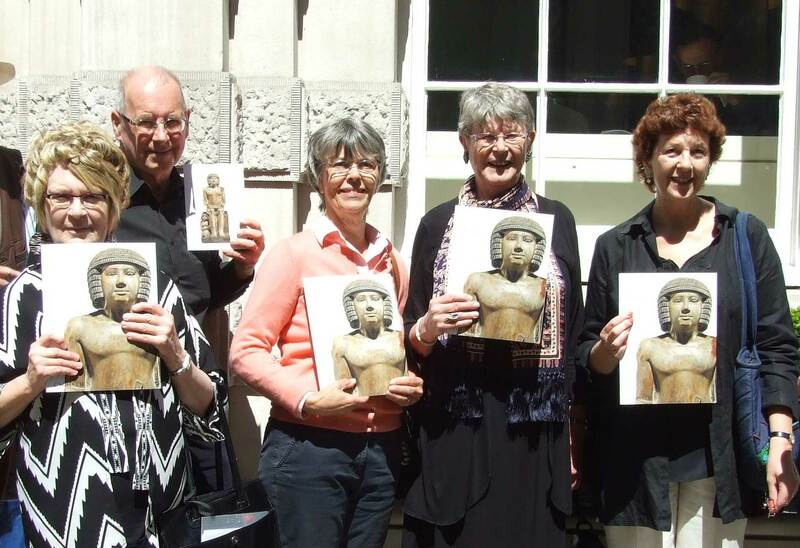 To that end the Save Sekhemka Action Group has undertaken to support such efforts from its now considerable reservoir of documents, knowledge and expertise. The campaigners will at least find common ground with the Council over the first six words of that statement.